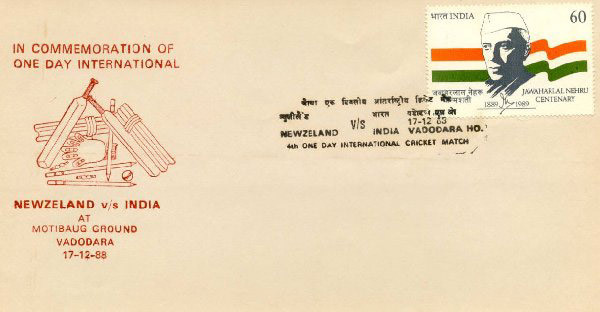 One Day International Cricket match between New Zealand and India was played at Moti Baug Ground, Baroda on 17th December, 1988. 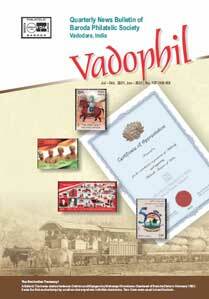 A special cover was issued to mark the occasion. The Cover depicts stumps, bails, bat, ball, leg guard and hand gloves.